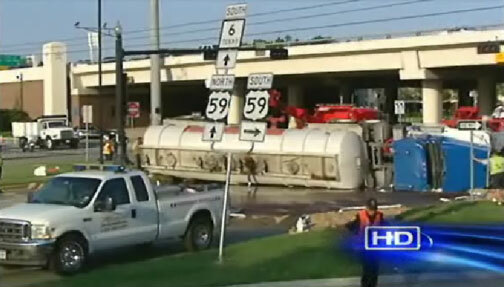 On July 17, 2008, 5,000 gallons of molasses leaked from an overturned tanker truck onto the highway in Sugar Land (yes, really), Texas. 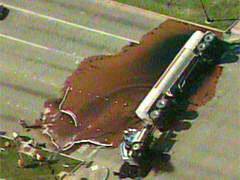 The driver took the turn too wide, hit the curb, jack-knifed, and flipped over, causing the spill. Traffic was backed up for 3 miles and was moving as slow as… you know. 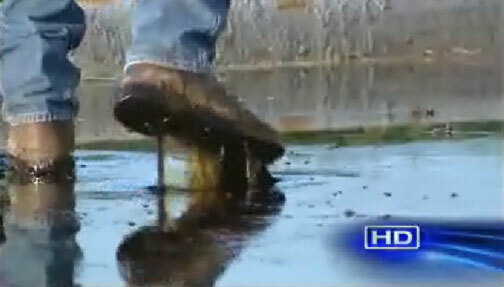 The molasses cleanup was quite an operation (as you can see from the photos). 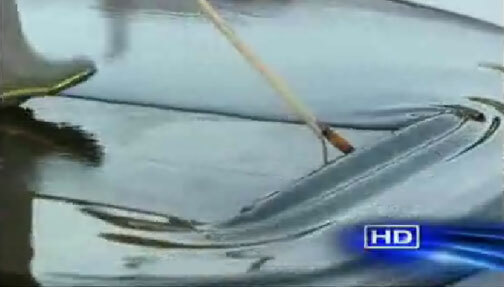 Workers used brooms, shovels, suction, and front-end loaders to clean up the sticky mess. 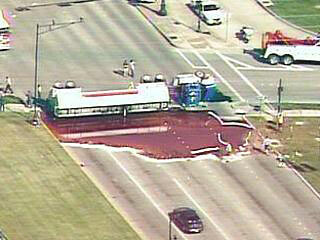 The truck was carrying a total of 8,000 gallons of molasses that was supposed to be mixed into cattle feed. The driver was treated for minor head injuries. Molasses, or treacle, is a thick syrup by-product from the processing of sugarcane or sugar beet into sugar. 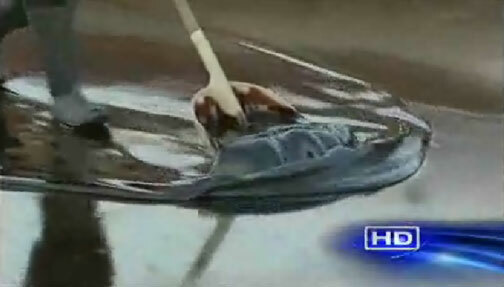 Among its many uses, molasses can be mixed with sand to make mortar for brick working. Probably the biggest molasses spill ever was the Great Molasses Flood on January 15, 1919, in Boston, MA. 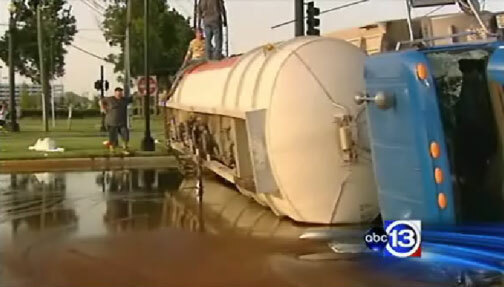 A tank containing over two million gallons of molasses ruptured sending a 15 foot wave at 35 mph through a Boston neighborhood killing 21 people and injuring 150. Several victims were not found until the fourth day. Residents claim that on hot days, they can still smell the sweet stuff.